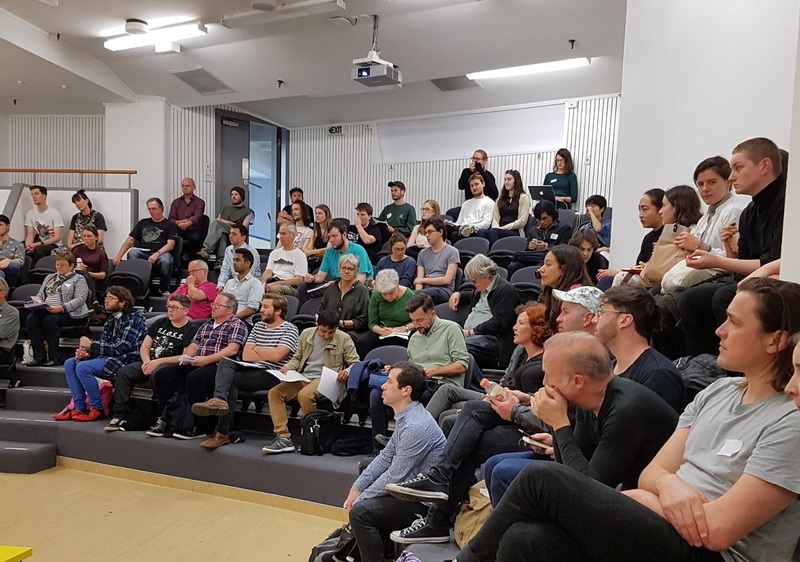 The symposium featured 12 speakers engaged in the left in Aotearoa, addressing recent local and international developments in left political organisation from different angles. Some of the key themes included the recently published Matike Mai report on constitutional transformation in Aotearoa, the recent successes and failures of radical left parties in Europe, the identification of key sites of struggle within the international capitalist economy, and the dangers of thinking about politics only in terms of parliament. There was strong intergenerational participation which, along with the high level of engagement, analysis, and rigour, bears witness to the possibilities for new forms of political organisation to flourish in Aotearoa. Margaret Mutu, Professor at the University of Auckland, chair of Te Runanga-a-Iwi o Ngati Kahu, and chair of Matike Mai Aotearoa Constitutional Transformation Working Party, presented the background to the recently published Matike Mai report and its program for radical constitutional transformation based on the 1835 He Whakaputanga o Te Rangatiratanga o Nu Tireni (Declaration of Independence) and Te Tiriti o Waitangi of 1840. 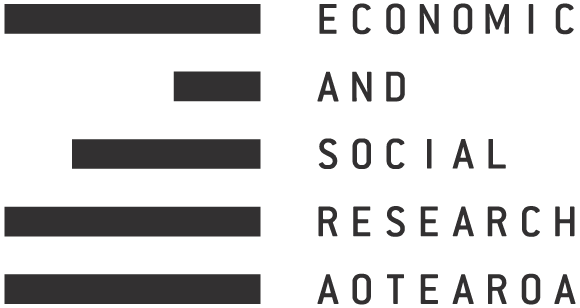 Ben Rosamond, co-convener of ESRA’s Political Organisation Inquiry Group, critiqued the concept of ‘sovereignty’ and the ways in which it has been imposed through colonisation in Aotearoa. He made the case that new forms of political organisation need to learn from the forms and concepts of political organisation which were in place prior to colonisation. 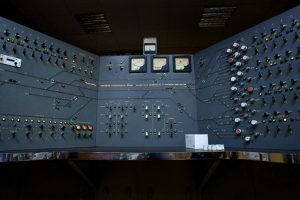 David Parker, co-chair of Kotare Trust, and Igor Jovanoski, a visiting Research Fellow at the University of Auckland, both spoke to recent successes and failures of the radical left in Europe. Both Dr Parker and Dr Jovaniski critiqued the left populist politics taken up by Podemos in the Spanish state. Igor argued that rather than a turn to left populism, the left needs to return to key political principles. He also made the case for reconciling horizontal forms of organisation with traditional party forms through new forms of dual organisation. David, drawing on lessons from Italy, also made the case for rethinking the role of parties as sites of connection between different struggles and movements. Unite Union organiser Ben Peterson spoke about his experience observing the excitement and energy around Momentum and Jeremy Corbyn in the UK, and how we can learn from what is happening there. ESRA Researcher Nathalie Jaques spoke about the central role of supply chains, logistics, and ports in the contemporary international capitalist economy. She discussed ways in which struggles against the conditions imposed by capital on workers can exploit weak points in the international supply chain. Simon Barber, from the UK organisation Plan C, spoke about the central role of unpaid labour inside and outside the home in reproducing the capitalist economy. He discussed the concept of ‘social strike’, as a way of thinking about ways in which political struggle can take place outside the domain of paid work. Massey University Lecturer Emily Beausoleil outlined her research with eight organisations which address issues of socioeconomic inequality, and what we can learn from them in terms of the role of listening and voice in politics. Finn Morrow, co-convener of ESRA’s Political Organisation Inquiry Group and union organiser with the New Zealand Nurses Organisation, spoke about the ways in which a focus on parliamentary politics has limited the successes of the left in Aotearoa. He argued that new political organisations on the left in Aotearoa need to break out of the trap set by taking parliament as the main focus of politics. ESRA Communications Coordinator and Researcher Jonathan King spoke about the ways in which taking parliament as the main focus of politics leads to left political parties taking for granted the way in which the economy is organised, and not challenging the forms of capitalist property rights which the current organisation of the economy is based on. Drawing on contemporary examples of indigenous resistance to fossil fuel infrastructure in North America, he argued that instead of taking parliament as the central focus, new forms of political organisation should focus on collective planning for a different mode of organising economic production. ESRA Project Coordinator and Researcher Sue Bradford stressed the need to learn from the efforts of existing anti-capitalist organisations and unions if we are to develop any new left party or parties in New Zealand. She put the case that a plurality of counter hegemonic left institutions are needed as building blocks in the face of the power of neoliberal capitalism. Dylan Taylor, ESRA Researcher and Editor of Counterfutures, spoke about the role a new party in Aotearoa could play in providing a common space for people to come together, and the need to harness contradictions and tensions in a way that will create new, sustainable open-ended projects. The day ended with an open discussion which raised a number of ideas about what the left wants in Aotearoa, and how to achieve those things. ESRA will be organising participatory workshops in Auckland, Wellington and Dunedin, and potentially other areas of the country, building on the contributions made at the symposium and offering a chance for more people to take part in these discussions. In the coming months ESRA will also be publishing a number of papers which were presented at the symposium, sign up to our mailing list to keep in the loop, and if you’d like to support ESRA’s work in this area please consider donating.